Getting A Divorce in Loveland? Are You The Breadwinner? For the people who are not involved in a divorce, choosing to end the marriage may come as quite a surprise. For the two members of the marriage, however, this is hardly ever the case. Whether it is one spouse or both, divorce is normally something that is considered for months, if not years, before it is actually pursued. While divorce absolutely affects every single member of a family, the breadwinner is often the person to take the biggest hit, losing a great deal of their estate when the divorce is finalized. If you are the person who is bringing the majority of money into your household, and you are thinking about splitting with your spouse, you should consider the following before you file for your divorce. In order to know exactly what you are working with, you should try to gather all of your financial documents and get a real feel for where you stand. Since you will have to disclose your financial status when you get your divorce, having this information ahead of time can be extremely helpful. Make copies of everything like your bank statements, stocks and bonds, paperwork regarding real estate you own and more before you ever bring up wanting a divorce to your spouse. If you and your spouse are currently sharing a bank account, it’s time that you open your own and begin to put money into it. Even if your spouse isn’t the type who tries to take your money now, having a separate bank account will help make the process of splitting assets much easier once your divorce process begins. 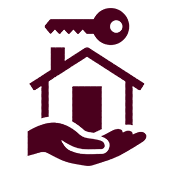 Additionally, make sure that all of your credit cards are in your own name as well. If you have a credit card extension for your spouse, you may want to set a reasonable spending limit on the card. While some people would recommend that you cancel the card entirely, this is likely going to lend to much more hostile divorce proceedings in the future. If you think your spouse isn’t going to handle the news of you wanting a divorce very well, it’s a smart idea to change your passwords on your online accounts (especially bank and credit card accounts). While you may not think your spouse has your passwords, they absolutely know enough personal information about you to find out how to access multiple online accounts you manage. You may even want to consider changing your security questions to ones that your spouse will not know the answers to. While you may be splitting from your husband or wife, you certainly are not divorcing your children as well. If you want to make sure that your ex-spouse cannot claim that you are an uninvolved parent, be sure to show that you play an important role in your children’s lives. Whether you are helping them with their homework, attending their school activities, or simply cooking dinner for them a few nights a week, be as involved as your spouse is to avoid custody issues in the future. 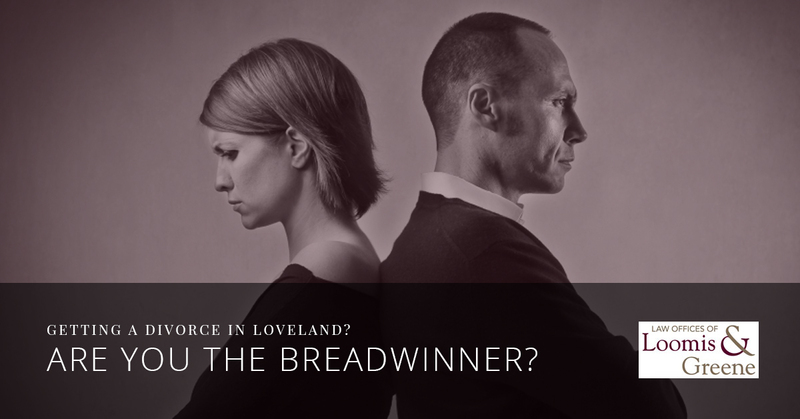 If you are the breadwinner in your home and you are in need of a divorce attorney in Loveland, we can assist you at the Law Offices of Loomis and Greene. We have the experience, expertise, and the passion to ensure that you are given all of the guidance you need during this difficult time. Contact us today to learn more about how we help you ensure that everything is in order begin your divorce proceedings begin.